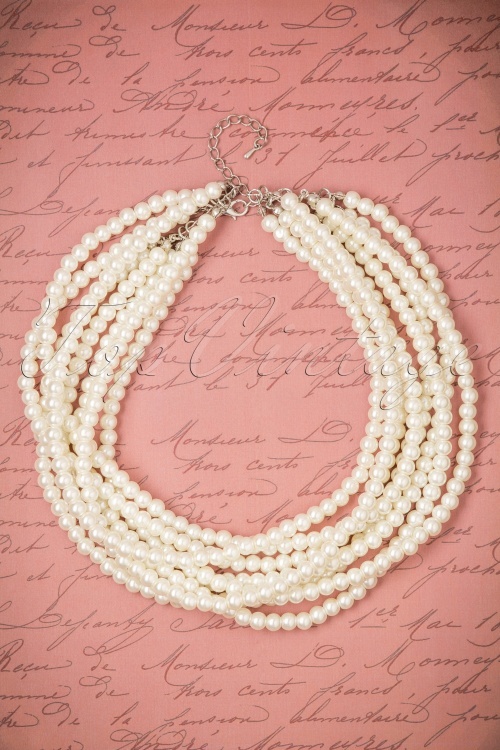 This 50s Darlene Glamorous Pearl Necklace is a classic and timeless necklace in vintage style! Who is the most glamorous lady? 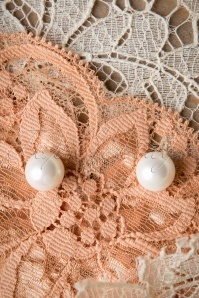 THat will be you with this gorgeous necklace around your neck! 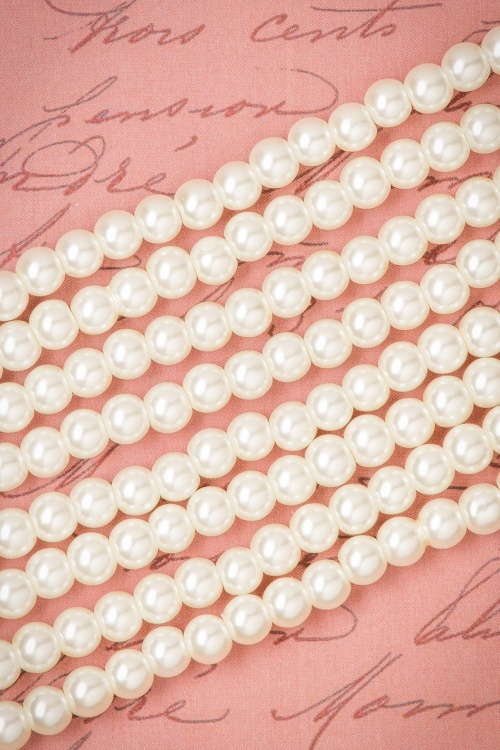 Made from multiple rows of beautiful ivory coloured faux pearls, très chique! 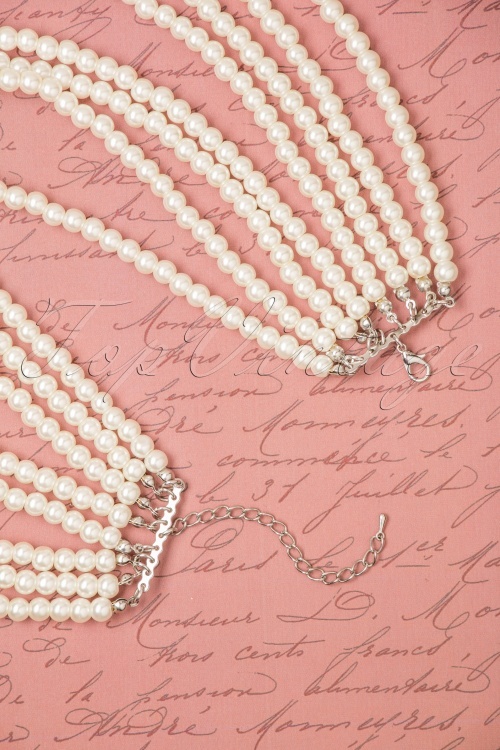 Due to the silver toned lobster closure this necklace is adjustable. 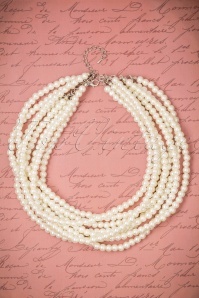 Accentuate your neckline beautifully with this classy pearl necklace!